Choosing when to go is dependent upon your personal objectives and fishing budget; costs correlate roughly to catch statistics. There are pluses and minuses to each week at Ponoi depending on weather trends, numbers of fish, fish quality, water heights and temperatures etc, and in the tundra these are difficult to predict. Ask your Frontiers advisor to talk you through each week. The first five weeks of the season are when we see the largest number of fish caught. These are during some of the famous white nights with twenty-four hours of daylight. During this period, grilse run with the salmon although salmon-to-grilse ratio is about 2:1. Water and air temperatures can be colder and water levels higher so the river may not have as much feature as slightly later on in the season. The catch statistics range from 30 to 40 fish per rod per week and sometimes much higher. 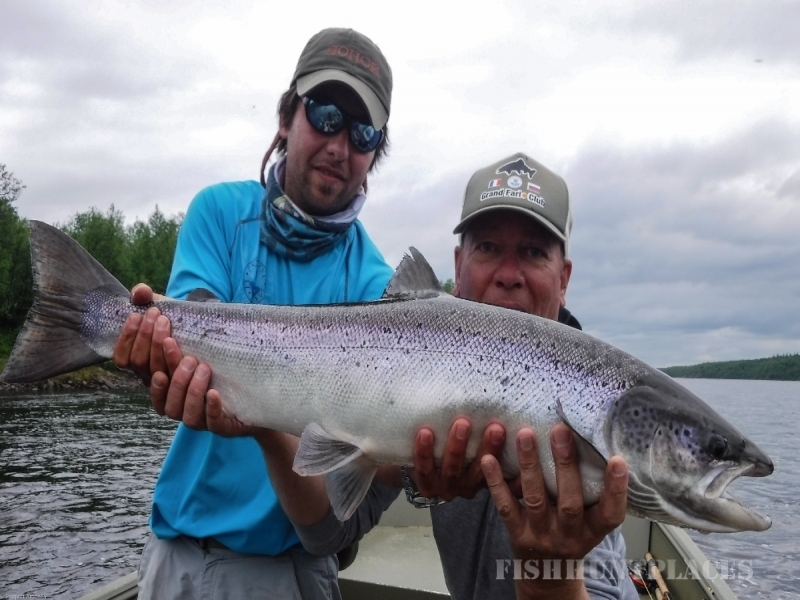 The middle weeks of the season provide good value, the warmest weather, and tend to be the most productive for those who enjoy dry-fly fishing. Water levels are lower and wading and bank casting much easier and more interesting. These weeks produce 20 to 30 fish per rod on average, but many people have caught 40 or more. 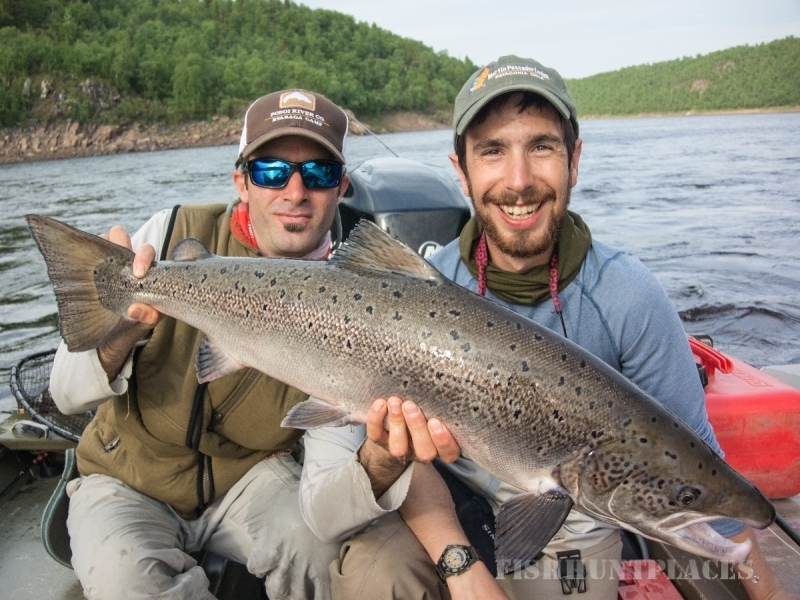 From late June, a new run of fish enters the river that we know as the true ‘summer’ run. 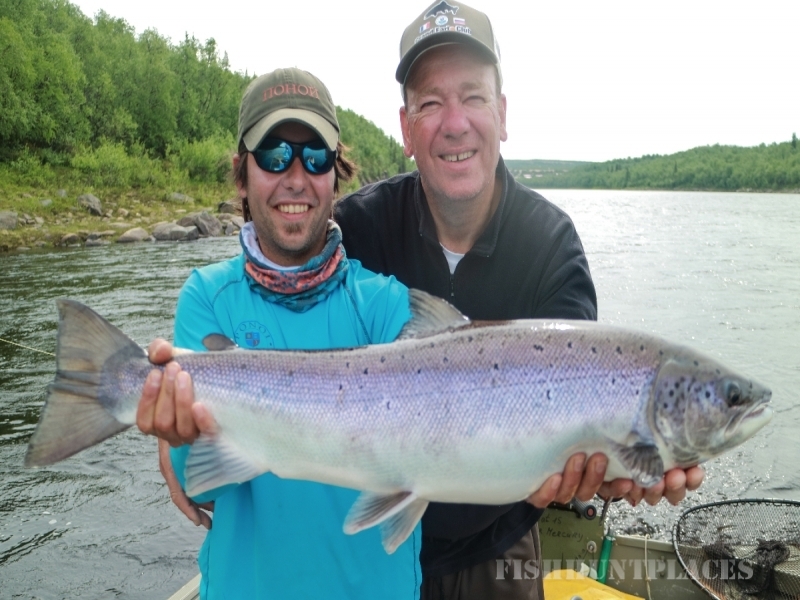 It consists of 9 to 14lbs mint-bright hen fish with some larger males up to and over 20lbs. With them also run some more grilse. These are fantastic fish and are free-takers. During the autumn run the numbers remain about even in the 20 to 30 fish per rod range but these are some of the largest salmon. The run begins in the very first days of August at the same time mosquitoes begin to disappear. By September, nearly half the catch is 10 to 20 lbs-plus, bright and fit with only a handful of grilse showing. 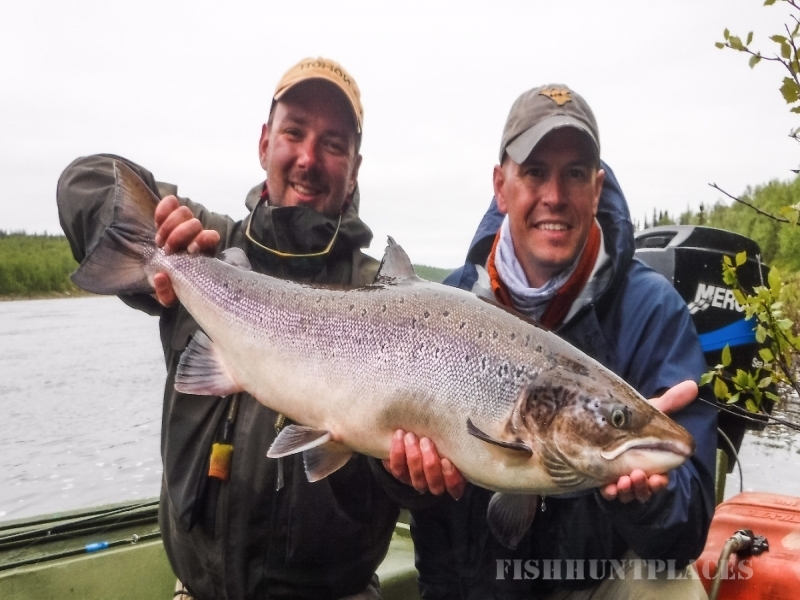 As with salmon fishing anywhere, weekly results are greatly influenced by prevailing weather conditions. 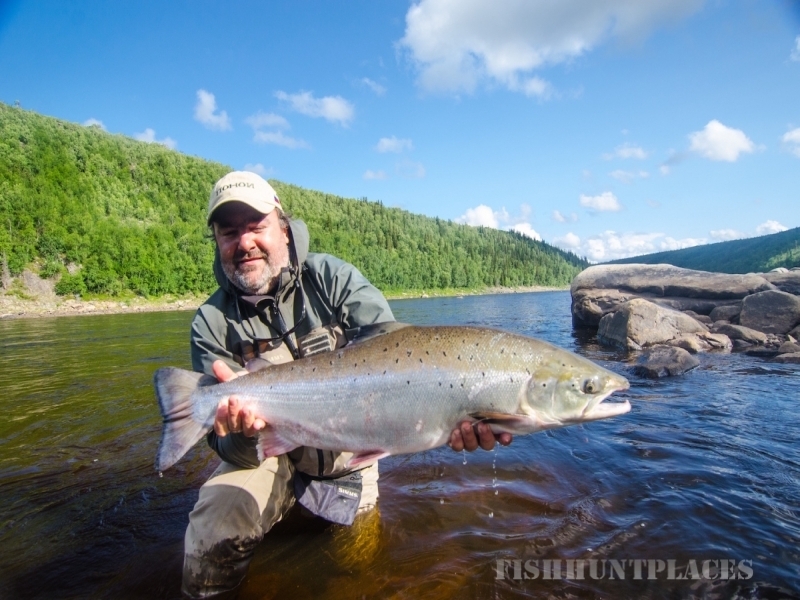 The Ponoi fishes reliably well throughout the season and quite honestly, we feel there is no poor time to fish this river compared to any other Atlantic salmon river anywhere.